Many students may consider a master’s degree to be their path to a higher salary and leadership positions. 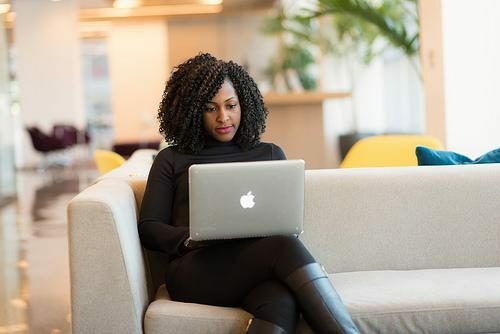 But while these potential benefits make a master’s degree appealing, students also want some assurance that their time and effort will be worthwhile when they start to look for a secure job. While some degrees carry more real-world applications than others, the Master of Science in Applied Psychology degree with an emphasis on organizational psychology can prepare students to apply their knowledge across a wide spectrum of careers. What Makes a Master of Science in Applied Psychology Worthwhile? According to the American Psychological Association, “Opportunities with a bachelor’s degree alone aren’t unheard of, but they are sparse. […] A person with a master’s degree in I/O psychology is often able to find an entry-level position to launch a career.” Many undergraduate tracks — even in psychology — don’t include enough emphasis on organizational psychology to adequately prepare a student for the workplace. Organizational psychology professionals use the science of psychology to understand and measure human behavior in the workplace. With such an understanding and measurement, those with experience in organizational psychology aim to improve employees’ satisfaction with their work, enhance the business’s ability to hire and retain the most qualified individuals, and support building a better workplace for everyone. Organizational psychology professionals use their research and the skills they learned during their education to design training courses, surveys, selection procedures and other tools. Using scientific methods, they advise employers on hiring priorities and candidate selection, and can also help employees achieve a satisfactory work-life balance. Using the principles of organizational psychology, professionals may also be called on to analyze or resolve a problem within the business. Perhaps, for example, a company’s executives are concerned that their business has a high turnover rate. An organizational psychology professional might carry out a survey, interview employees or implement other research strategies to ascertain if the turnover rate has something to do with employee dissatisfaction, issues with the leadership dynamic, a problem with the workplace environment or another cause. The USC Master of Science in Applied Psychology provides students with the experience and knowledge necessary to pursue a career in organizational psychology. Psychology 565, which is completely devoted to organizational psychology, teaches psychological principles and research methodologies that students can later apply in their organizations, thus preparing them to solve a variety of challenges they may meet in today’s increasingly complex work environment. Psychology 565 and other courses in the USC Master of Science in Applied Psychology program give students the opportunity to apply their interest in psychology in a variety of work settings. By understanding human behavior, how to resolve team conflicts, promote leadership and communicate effectively, students can take their knowledge into a field or business that satisfies their passions. Virtually any business in any field can benefit from organizational psychology. Graduates in this field may find themselves working in major corporations in almost any industry including entertainment, manufacturing, health care or nonprofits. Within those fields, they may assess leadership, develop training programs, participate in management decisions that affect the workforce, analyze workplace culture or strive to improve diversity in the organization. Here are just some of the real-world applications of organizational psychology. Many organizations trust organizational psychology professionals as consultants when making significant decisions that can influence the future of the organization and its employees. Organizational consultants work with leadership to improve employees’ work environments and boost the organization’s overall performance. This specialist uses research in leadership skills to develop and carry out strategies that prepare employees to be effective leaders. The talent management specialist may also help certain employees cultivate specific skills that meet the business’s needs. To accomplish this, the specialist must know the skills and capabilities of everyone in the business. This position focuses on developing and implementing employee training programs in an organization, usually in some form of classroom setting. Trainers work with company management to decide what should be included in the training curriculum so employees can meet the company’s needs. This position requires the psychology professional to work with company leadership to satisfy the organization’s needs relating to organizational development. The job may involve participating in team building, encouraging effective goal setting, improving group processes and developing employee surveys that can identify areas of necessary improvement related to efficiency. This person analyzes and reports on a spectrum of workforce data to provide the facts necessary to make informed business decisions. They may work in areas such as training and development, selection and placement, leadership, retention and work-life quality. A graduate interested in human resources would likely enjoy working as an HR manager. This manager acts as a leader in developing talent, improving diversity, managing performance and changing management. An HR manager may also coach and develop opportunities for business leadership. Attracting, motivating and retaining talent is critical to an employer’s success, and there has now been a shift in the tools and techniques used by employers to attract talent in light of advances in technology and business needs. An effective recruitment strategy should not only align with workforce plans, but also attract top performers to a job vacancy. Professionals specializing in talent acquisition are in demand in many industries. Students who complete an online Master of Science in Applied Psychology from the University of Southern California can obtain the tools and skills necessary to make a difference in the workplace. Graduates who pursue a career in organizational psychology may not only be able to improve the businesses in which they work, but also the quality of life of their colleagues and employees.